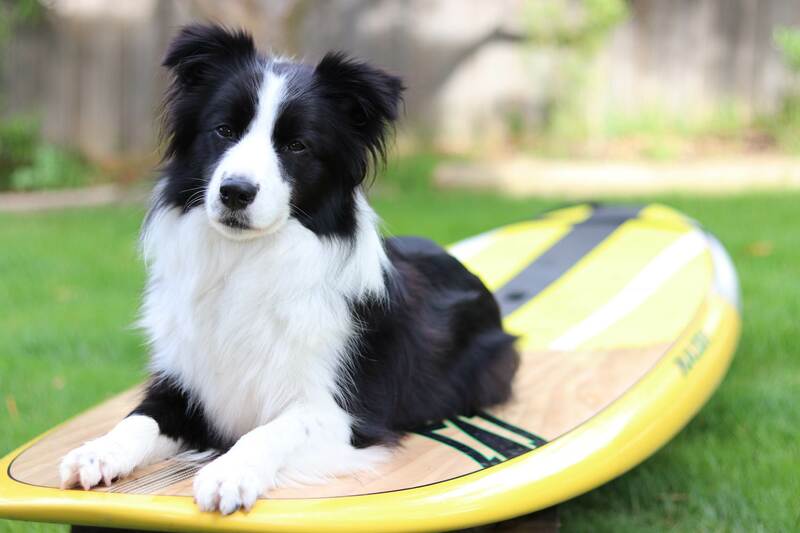 Can anyone offer some advice on an surf orientated SUP board? I have been riding my 11' Naish Nalu (175L) and loving it, however, the last couple of times I have tried to take a fast steepening section on a 1-2ft pointbreak I have come out injured. Once with broken ribs, and this week with a gash and banged up knee. I feel that I got caught too far forward on the board and high up on the wave, which flipped the board over and collecting me on the rail/fins. Each time I think the size of the board on the shape of the wave helped contribute to this. Don't get me wrong, I've had this board out on overhead waves with late takeoffs and made drops complete with fins humming the board loves it, but the wave has been more of a gentler rolling shape than the steep/hollower kind.I have been surfing/kitesurfing at an intermediate level for years, and SUP the last couple. Had a 10'6 Nalu, loved it, sold it for the 11' Nalu as an all rounder to cruise with the dog on board and also surf with. I am 5'6 at 82kg, 38yo and decent fitness. I have been looking at the Sunova lineup - maybe a Creek or Steeze. I'm just not sure how many liters would work. Being in Tassie there is limited demo opportunity... What boards are similar sized people riding and finding paddle ok in surf, and hold a wave? I love my 11' Nalu but it's not a great steep/hollow wave type board. I prefer my 9'5" Mana in those waves. As an 11' Nalu surfer I'm interested in the replies. No broken ribs but I know it's often a high inertia wipeout. In hollow waves I'm ready early to kick the board forward as needed anytime to avoid getting caught side-on. The nose ride does carry a special risk - the last second bailout needs to be 1.5s not 0.5s. Currently getting over my sprained ankle from a side-on broken foamy wave rolling up the board and me. I will be looking at narrower rails that are less carried away sideways by clumps of whitewater. Thanks, that ones actually on my old 10'6. Loved that board! Have surfed a 10' Mana which was way too much board, but closer to the style I'm looking for. No broken ribs but I know it's often a high inertia wipeout. This exactly! I feel I could get away with narrower rails and a lot less volume in punchier waves = also less board to collide with! i can't offer any suggestions for the board problem but that is a really great looking dog ?????? I still say that the 11'4" Nalu is a waaay better longboard sup than the 11' Nalu. Id be trading for that. Unless you want to go a fair bit smaller? Is that the case here? Try taking off a bit more diagonal? Sorry I meant to say the takeoffs are fine, I've got that dialed exactly as you say. Love how I can get on a wave earlier. The problem is on the pointbreak I surf, there is a steep section halfway along that I'm getting smashed on when I don't make it. Because of the rocks being so close by I try to avoid them (massive fin) but in doing so, I get caught too high on the wave and get flipped over the front rail. i feel that a smaller board with less volume that I could pump and throw around a little easier would suit this wave better. Any experiences with the 8'1 Sunova Flow? Been there and totally get it. My 1st board was 11'2 and high volume to carry my big old body. It surfed great, but it kept hitting me..... it was too long to get away from in heavier wipeouts. I broke 5 fins off with my legs in one winter, surfing OH beach break. I was so sure it was going to kill me, that I determined to lose weight and get a smaller board. After losing 15 kg, I got a 9'6. 9'6 was short enough that I could go off the nose or tail and avoid the board and fins much easier. At your weight, height and age... plus your surf/kite experience tells me you can go as small as an 8'4 to 8'7 Creek without too much trouble.... number wise. But you don't need to go that small. Since you have been happily riding 10'6 and 11' boards, you could just pick any size under 9'6 and have an easy board that would perform really well and not be as hazardous in crunchier wave. Personally, I think you would love the 8'10 Creek. Big enough for you to have good glide to get into waves early and small enough to rip! I've come within millimetres of severing my femoral artery, and lost a finger tip. Just this morning my young bloke's mate ended up getting cheese grated on the rocks, and my mate took a large scallop out of his finger. The right board will help, but it's never totally risk free. Love it too much to ever stop though. I've caught the nose and eaten sh1t on every board I've ever owned. Less times on my shorter boards though. My 9 foot smik is less hazardous than my 10 footer. Never mind what it does to your skin and ears. Have had a few dodgy Kev moles cut out recently and my ears syringed a few times. Surfers ear is a problem I never heard of until a few years ago....excuse the pun. Ouch... to the injuries . Isn't this where you have a quiver to try to match board to waves of the day..... locations. Just bought a 9'2 Sunova Speeed and it goes. love it. I'm 80 kg and at 70 It's just right. Awesome suggestions and ideas here! STC am investigating what you suggested. The waves aren't always on point here, often mush and onshore and any other combination of conditions. How would the Creek handle these conditions? and yep to the danger of surfing. I use ear plugs now (Tassie cold water) and my winter wettie is an old 5/4/3 NP Combat with shin protection. One thing a thick wettie is good at is crash protection! So I borrowed a mates 8' x 133L Hypernut to SUP on yesterday, and when I jumped back on the 11' Nalu I thought of your comment here; fully agree with this!